When I 1st heard of this movie that's based on a pregnancy guide book, I was wondering how on earth does anybody manage to turn a guide book like that into a movie? And so, because of my curiosity, I had a bit of an interest to know whether can the director Kirk Jones make such a movie to be interesting. On Tuesday evening, May 15, 2012, I had just the chance to find that out. Sidetrack a bit. Quite delighted to meet up with Merryn again on such unexpected, unplanned situation. It's been awhile since I last saw her and we did a brief catching up before viewing the same show at our different respective halls. 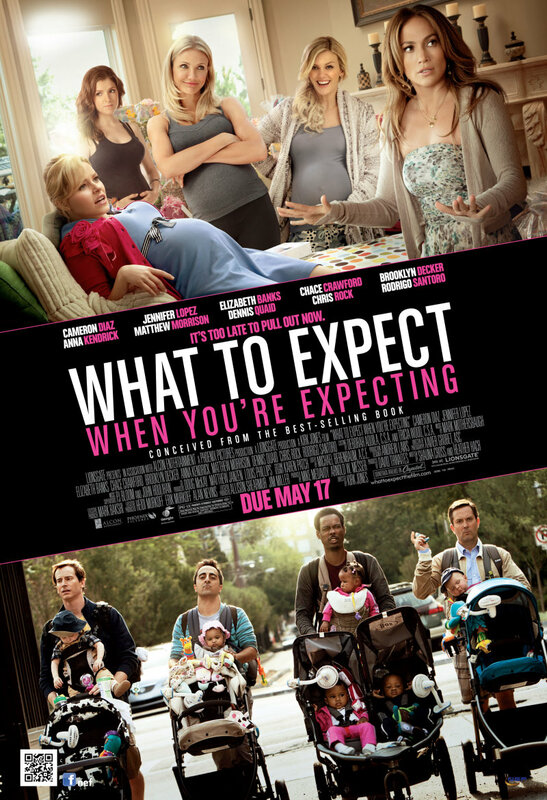 Since this movie was based on the pregnancy guide book, hence it's gotta be a movie about expecting moms and dads and about child that's about to be born. The show revolves around 5 couples. Jennifer Lopez plays Holly, a photographer who is barren but wants a child badly. And so along with the support of her mate, she enrolls in an Ethiopian child adoption program. Her mate seems unready though but is supportive of her. Holly on the other hand tries to perfect everything so she gets to adopt a child she so wanted. And so the both of them trudges along the challenges till the day of the adoption. Cameron Diaz plays Jules who's the host of a reality weight loss fitness show. She's a strong willed woman who's full of positive thinking and is a career driven woman. Along with her partner, she's expecting a child but does not want to stop hosting her reality TV show up until the day of her delivery. This of course poses as a concern for her safety but she's headstrong on her decision. How will it fare for her and her relationship? Elizabeth Banks stars as Wendy, the owner of The Breast Choice boutique who also writes a book and preaches of the wonderful life of motherhood and of breastfeeding. All that seems to leave her with a different impression when she starts having her own baby. Her husband is the son of a great legendary race car driver name Ramsey where everything seems to be a competition between the both of them. 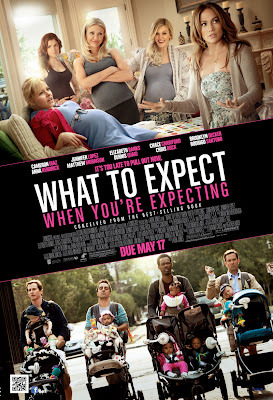 Brooklyn Decker stars as Skyler, the young wife of Ramsey who's also expecting a baby, or rather twin babies. Skyler's gradual pregnancy goes without a sweat but the strain relationship between her husband, Ramsey and his son is getting out of hand. And so, she wants the relationship between them to be repaired. One more couple that's also the feature of the movie is Marco and Rosie. Both of them works at different trailer food trucks. Rosie used to be Marco's old flame but she just doesn't want to be with him since her impression of him is that he's a player. But Rosie just couldn't resist his charm when Marco makes his move to be reunited again with Rosie. Rosie later on discovered that she got pregnant on that fateful night. Marco although unready to have a child, yet wanted to take responsibility. Unfortunately, Rosie had a miscarriage one night and ever since then, Rosie distance herself from Marco. The movie was set up for a comedic approach, but it wasn't funny enough to me. However, it's a decent enough show if there's nothing else interesting to watch. I rate this 2.5 stars out of 5. OK I will definitely skip this movie. Haha! Unispiring storline and not funny jokes - this is my impression after reading your post Haha! The jokes are just ok. Not funny material like how The Avengers crack it. Think I've never seen you in any screenings before. LOL. Hi nice to see you at LG..
Erm, you saw me at LG event? O_o hmm.